The very Best From Scratch Lemon Coconut Cake recipe on the internet. Layers of coconut white cake (from scratch) with homemade lemon curd and cream cheese frosting. All topped with more coconut! This time of year, all food bloggers are focused on chocolate, peppermint, and egg nog recipes. I get it. I’ve shared quite a few this season already myself. But you know what I adore as well during the holiday season? Do you have favorite holiday traditions? Do you make the same recipes year after year? I know in my family, we do. But, I also try to add in some fun additions, whether it be a new cookie, or flavor of fudge. And now, I’ll be making this Lemon Coconut Cake recipe EVERY year. Mark my words. 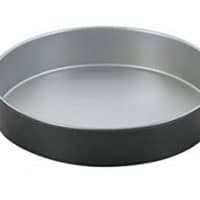 Prepare your 9 inch baking pans by spraying them with non-stick baking spray, or lightly greasing them and sprinkling with flour. I also line the bottom with a piece of parchment paper (you can purchase already cut cake pan parchment circles too on Amazon). 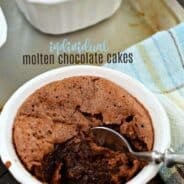 These are a huge time saver, and it ensures that every homemade cake will flip out of the pan perfectly. 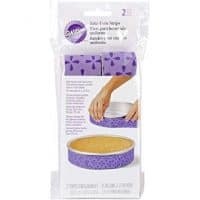 I also use Wilton bake even strips on my pans to get perfect even layers, where I don’t need to slice off the dome tops. These work so well, and last a very long time! In a small bowl, whisk together the room temperature egg whites with 1/4 cup of the milk until combined. Set aside. In a large bowl, beat butter, sugar, vanilla and almond extracts for 2 minutes, on medium speed. Scrape down the sides of the bowl as needed. Slowly add in dry ingredients and mix until combined. Fully beat in egg white mixture. Finally, beat in the remaining milk and allow to blend for about 3 minutes, scraping down sides of the bowl. Fold in your shredded coconut. Pour batter evenly into two prepared pans and bake for about 26-28 minutes. Remove from oven and cool completely on a wire rack. For the frosting, beat butter and cream cheese for 3 minutes using a whisk attachment. Add in powdered sugar, vanilla extract, and heavy cream. Beat an additional 4-5 minutes, until light and fluffy. To assemble the cake, place one layer of cake on a cake stand. Spread about 1 cup of lemon curd or lemon pie filling on top of cake. I love using this Homemade Lemon Curd recipe (especially since I have all the egg yolks from making today’s cake)! Add frosting on top of the lemon curd, repeat layers. Spread cream cheese frosting around the edges of the cake. Using your hands, press handfuls of shredded sweetened coconut into the frosting. 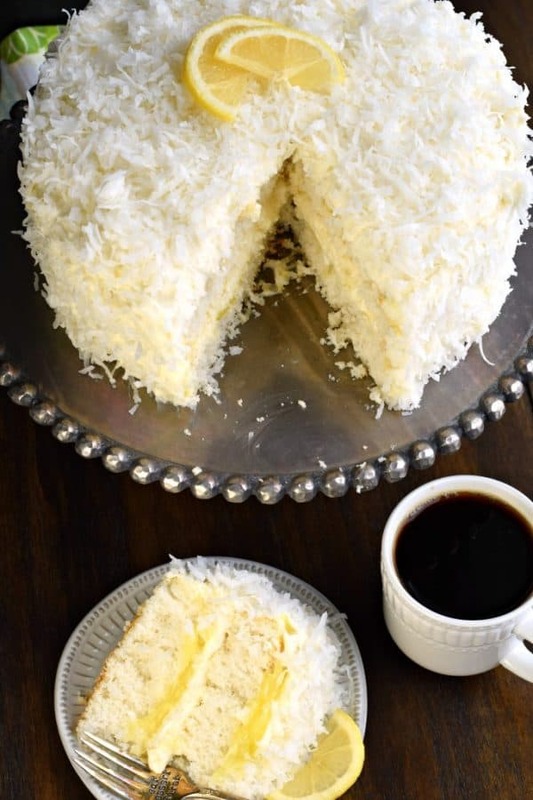 Refrigerate this lemon coconut cake until ready to serve. Slice and enjoy! 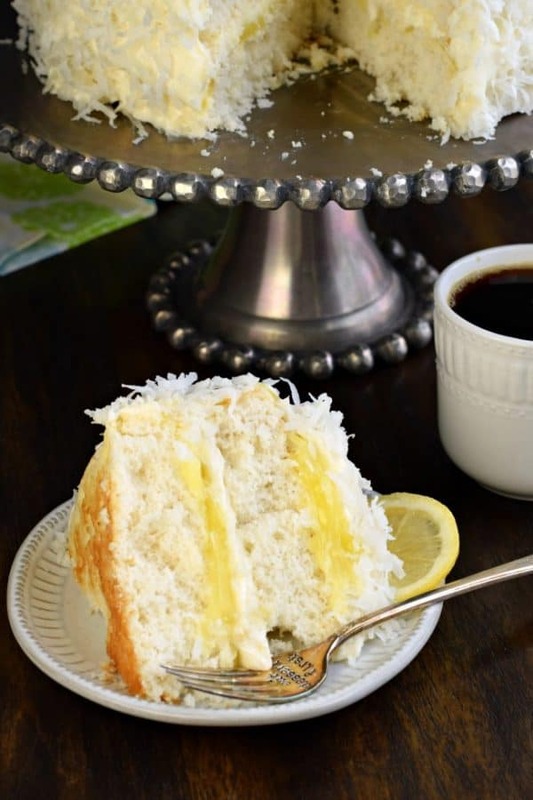 Want to save money making this Lemon Coconut Cake recipe? 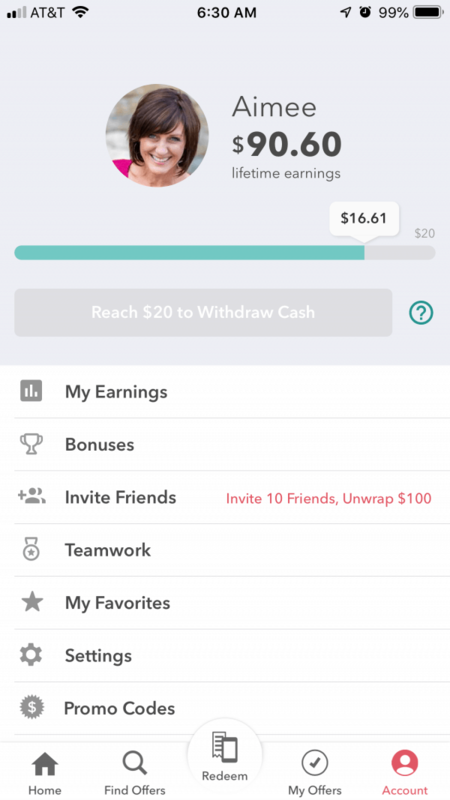 I used the Ibotta app to earn a little extra cash back for the holidays buying the products I needed for today’s recipe. If you’re new to Ibotta, it’s a cash back and rewards app the gives you a way to save money when you shop! With hundreds of products to choose from, you’ll find something to inspire your holiday baking! I was able to purchase the cream cheese and vanilla extract for the frosting, stocking up on some extras for other holiday baking (like these Cream Cheese Sugar Cookies). Be sure to check the app often as offers change frequently. All of my favorite, local grocery stores are listed, check to see if yours is on there! You can earn cash back on products and services from online and in-store retailers! For today’s recipe I took a peek at my Ibotta app before heading to the store to get inspired for some holiday baking. 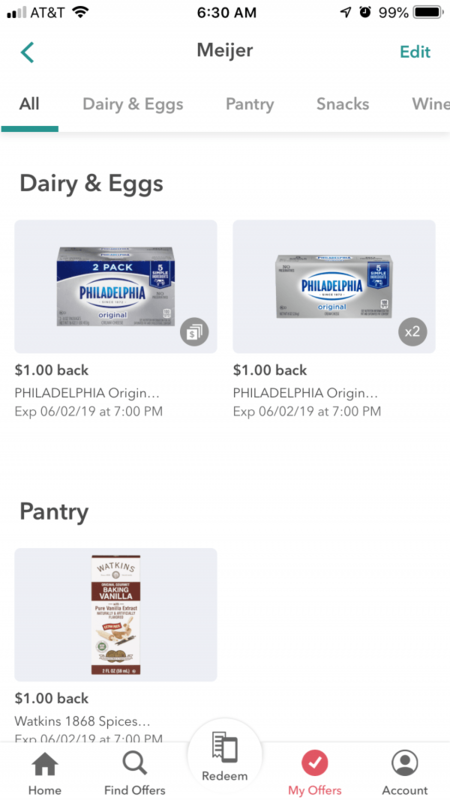 I was able to earn cash back on the Philadelphia Cream Cheese and Watkins Vanilla Extract, as well as Any Item reward. I earned $4 in purchasing items I was going to buy anyway! After you choose your offers, you’ll scan your receipt to redeem your rewards. To date, I have earned over $90 in cash back. Once you’ve earned $20 you can “cash out” with gift cards, PayPal or Venmo. It’s super easy and fun! And easier than carrying coupons to the store! You’ve come to the right place. I’ve got this Coconut Cake recipe from scratch. Traditional. Classic. Seriously THE BEST coconut cake. Ever. Nuff said. Some people LOVE Coconut Cream Cake recipes. My recipes uses sweetened condensed milk, but you could also substitute coconut milk or coconut cream instead. These Lemon Coconut Cupcakes are from scratch and filled with sweet lemon curd. Topped with a creamy lemon frosting and shredded coconut, your family will beg for the recipe on Easter! Try baking this Lemon Cake with Creamy Filling and Lemon Curd. It’s my copycat version of Olive Garden’s Lemon Crumb Cake, and it’s fantastic. This Copycat Starbucks Lemon Loaf is even better than the real thing. Why? Because you can eat a whole loaf without having to explain it to the person behind the counter! Tart and Sweet this Lemon Pound Cake is everything you’re craving! Be sure to find more Lemon desserts by checking out my archives! What food will you be serving this holiday? With Ibotta, you can earn a little cash back to make the season even merrier! I’ll be serving our favorite Gingerdoodle Cookies, Macaroni and Cheese, and Lemon Meringue Fudge. 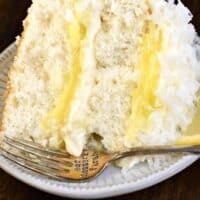 The very Best Lemon Coconut Cake recipe on the internet. Layers of coconut white cake (from scratch) with homemade lemon curd and cream cheese frosting. All topped with more coconut! Beat butter and cream cheese for 3-4 minutes using whisk attachment on an electric mixer. Add in powdered sugar, vanilla and heavy cream. Beat an additional 4-5 minutes, scraping down the sides of the bowl as needed. To assemble, place one layer of cake on a cake stand. Add 1 cup lemon curd and spread over the cake. Then add a large amount of frosting to top and smooth with an offset spatula. 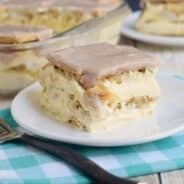 Top with second layer of cake. Apply the second cup of lemon curd over the top. Then add frosting to entire cake. To add the coconut to the top and sides of cake, place cake stand on a baking sheet (to help catch excess coconut). 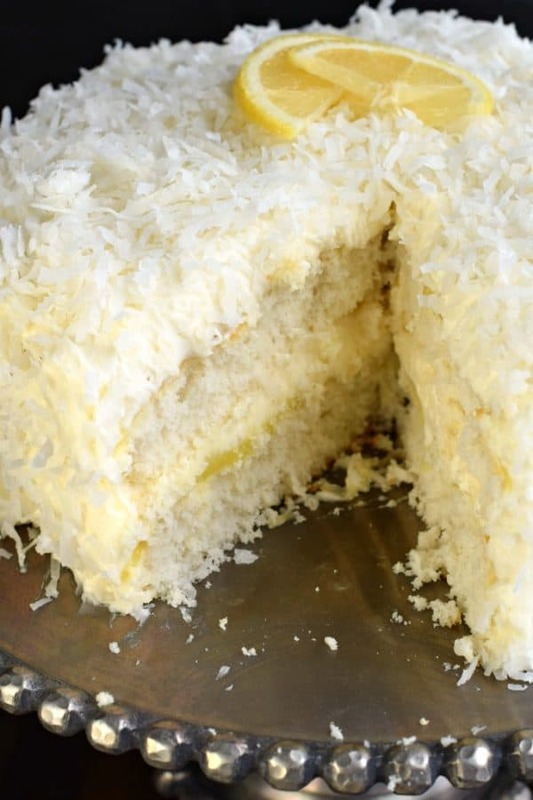 Fill hand with coconut and press gently into sides of cake. Repeat until desired amount of coconut applied. ENJOY! 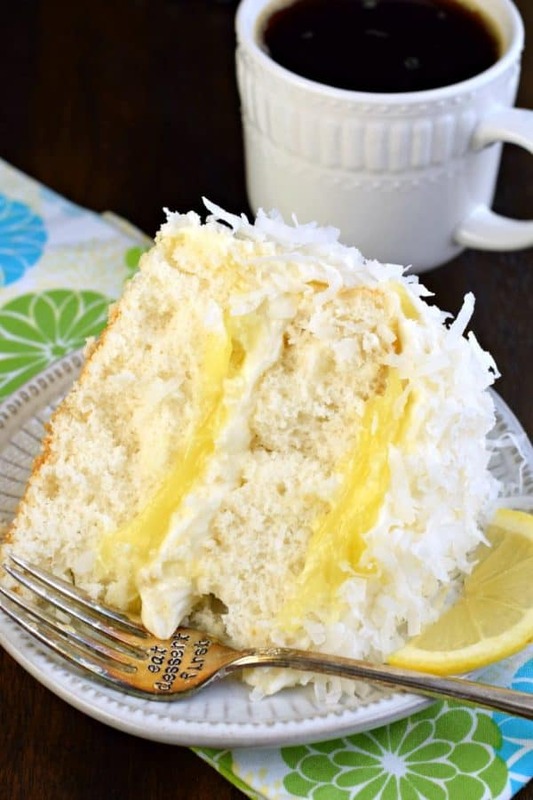 I just love the flavor combination of lemon and coconut! I can’t wait to try it! This is my favorite combination! So light and refreshing — the perfect treat! 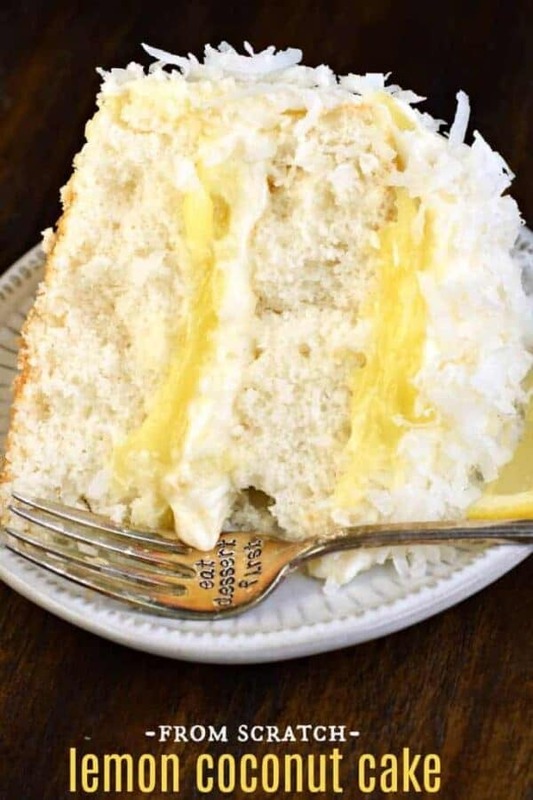 I love love coconut cake and with the lemon…OMG!! I might just have to make this today! 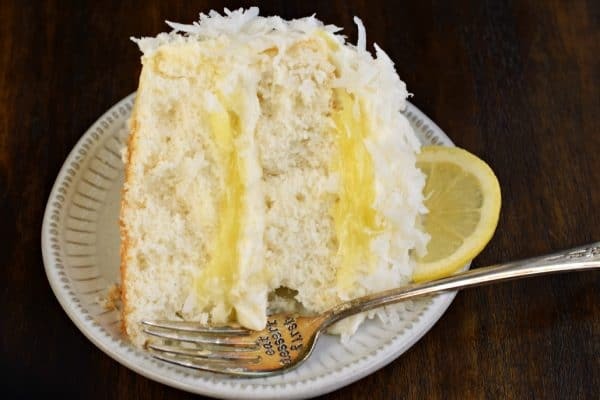 Absolutely love the lemon and coconut combo in this cake! It’s light, fluffy and delicious! Taste wonderful——but totally fell apart while I was icing. We are having trifle instead! 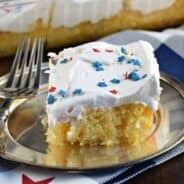 The flavors are excellent I have just one question..after I spread lemon curd and frosting to the top of the cake it seems that the cream cheese frosting separates from the curd…just wondering if anyone else had this issue and what to do about it?